Alex Hart is a 25 year old singer/songwriter from Ashill in Devon but now lives in Plymouth with her dog Tilly. Back from touring Europe with Martin Barre from Jethro Tull she is currently working on some new material with some very talented local musicians. She’s been lucky enough to work with the likes of Terry Britten, Grammy award winner for Tina Turner’s ‘What’s Love Got To Do With It’ and currently spending time recording at State of the Ark studios in Richmond as well as writing her new EP which she will be recording with her band in July. Last year she was invited to play at Looe Music Festival on the main stage and her fan base is growing tremendously. Her band consists of Josiah Manning (Drums), Paddy Blight (Guitar) and Jake Galvin (Bass) and the new line up is catching the ears of the folk scene nationally. In the summer of 2013 she gained two record deals, one in the UK and in the US and she teamed up with Electronic duo ‘Electronic Youth’ to record a cover of Angie Stone’s classic ‘I Wish I Didn’t Miss You’ which went to No.2 in the Music Week Club Charts and was played and supported by Pete Tong on Radio 1. 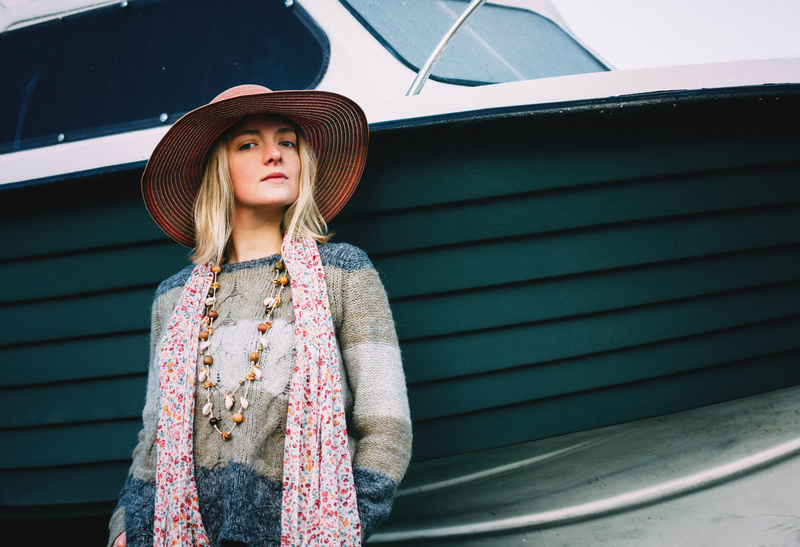 She has had many Radio 2 plays since then and was able to support the legendary Turin Brakes at Lyme Folk Weekend. and on Spotify and iTunes.